The Chambered Nautilus Tam – a pattern review with helpful tips! My Chambered Nautilus Tam (a pattern by Elizabeth Zimmermann) is done. It was easy… once I knew what I was doing. Here is how mine turned out, what I think of this pattern, and a few helpful tips for anyone interested in making their own. My tam is fresh off the needles. It needs to be blocked. It needs to be photographed by someone other than me (in these pics I’m holding a camera-remote-button cord in my hand and standing as far away from the lens as I can while hoping my head is in the frame). But I wanted to write about this hat today! I’ve never been good at waiting. And there has been quite a bit of interest in this particular pattern. 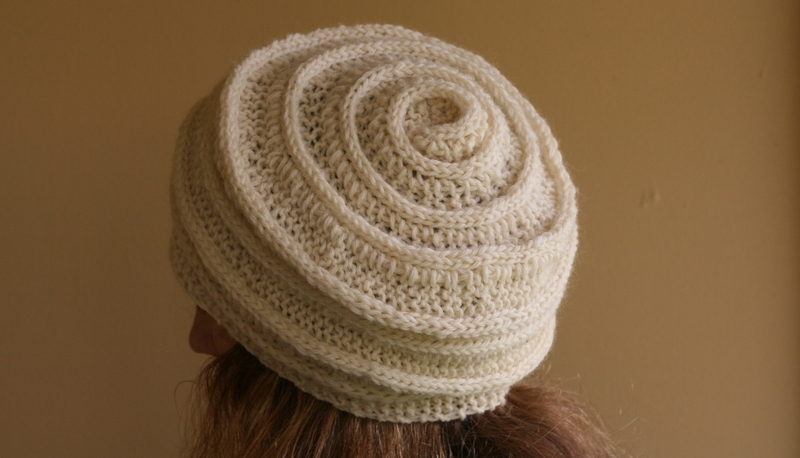 After fielding comments and questions from knitters I know and knitters that come to this blog, I realized quite a few crafters are interested in making this hat. They just aren’t sure how to get started. I can understand that; its an unusual design. So I’ve tried to write this as an honest review with some encouragement and some tips to make the knitting of it easier all without revealing the pattern itself. After all, its not my pattern and to “give away” another’s design is a pretty cruddy thing to do. This a great hat made in a very innovative way but the pattern itself could have been written much better. It assumes that you, the knitter, already understand the conventions of which edge stitches get slipped, how two sides are joined together while knitting (to make the spiral), and so on. Assumptions kill, especially in written patterns. Most modern, English-speaking knitters today do not have access to an older/wiser/experienced knitter that they can ask for help. They only have the pattern. A few sentences of explanation and some stitch instructions that are specific instead of generalized would have made this pattern a smashing success. It would have been one of those uber popular patterns in ravelry and an example would be hanging up in every LYS. Why do I think this pattern was an almost-superstar? Because once you get the trick of it, it is easy. After you get you head around all these little extra steps that aren’t really explained, you hardly need the pattern at all. In fact I got a bit bored. 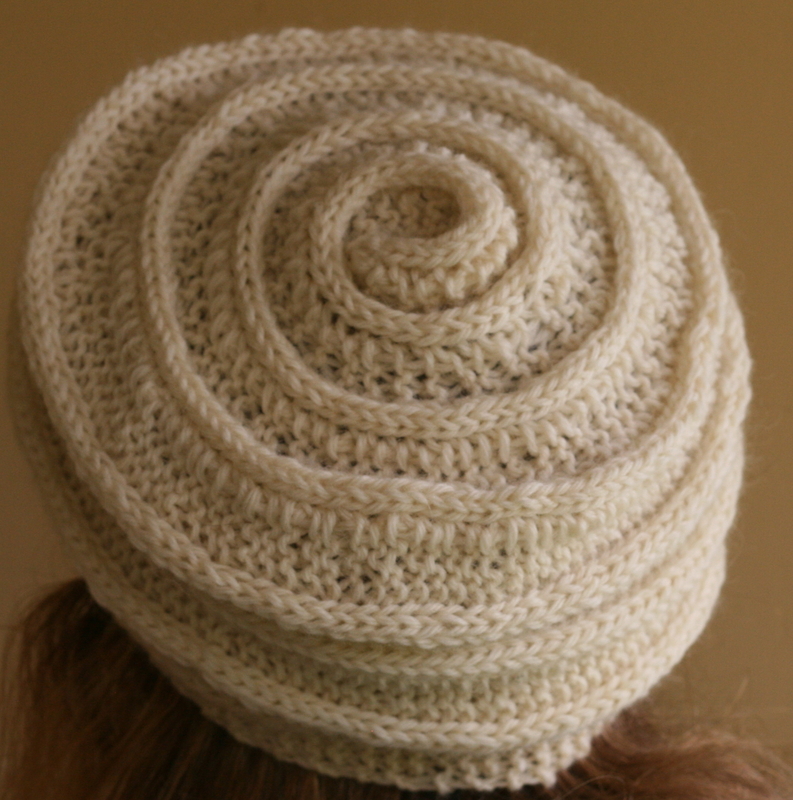 When making the tam, you use the same technique over and over with just slight variations, in the form of short rows, from beginning to end. In fact I got so bored that halfway through I started knitting in a left-handed fashion just to give myself something to concentrate on. Its a beautiful hat. 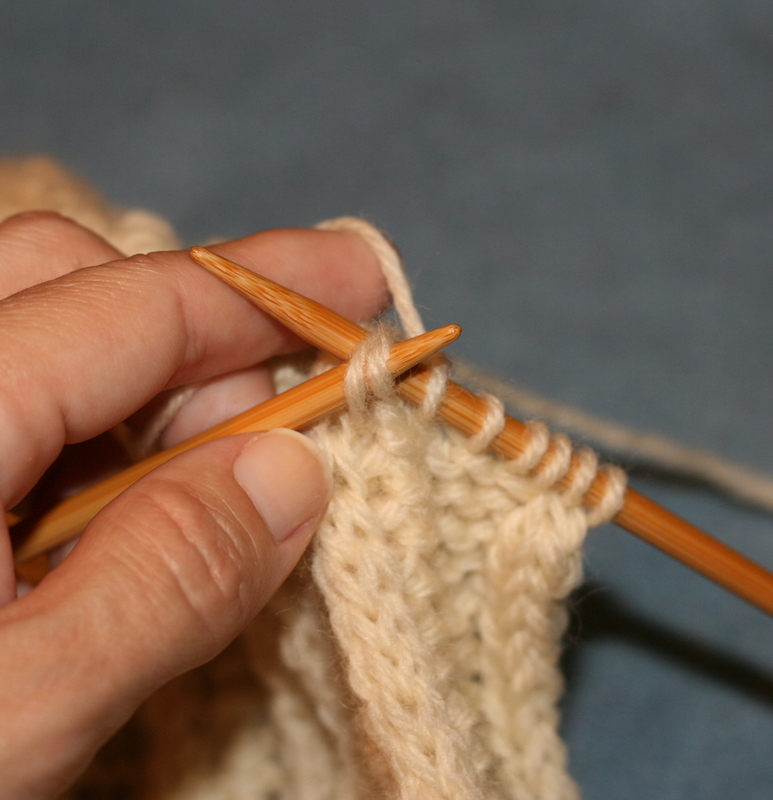 The geometry of it is so simple but so exact that it will impress you as you knit. And once you know what your doing, you can make it easy-peasy. This hat starts at the very top of your head with a short strip. That strip is quickly bent around and attaches to itself which begins the spiral. But you are always just knitting in a strip. You never have more that 7 stitches on the needle. 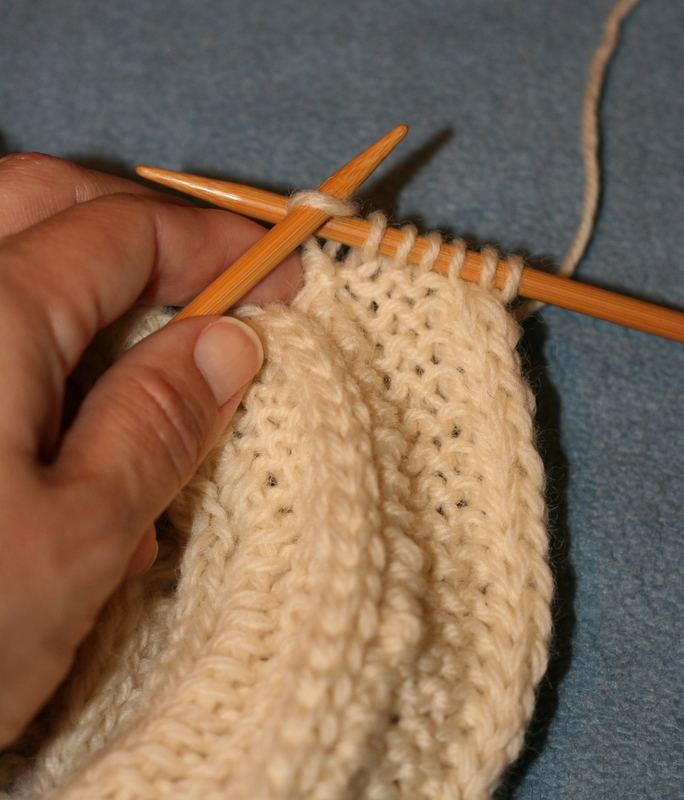 You are making one very long, 7-stitch wide strip that gets attached to itself as you work. the last three are worked as an I-cord edge. 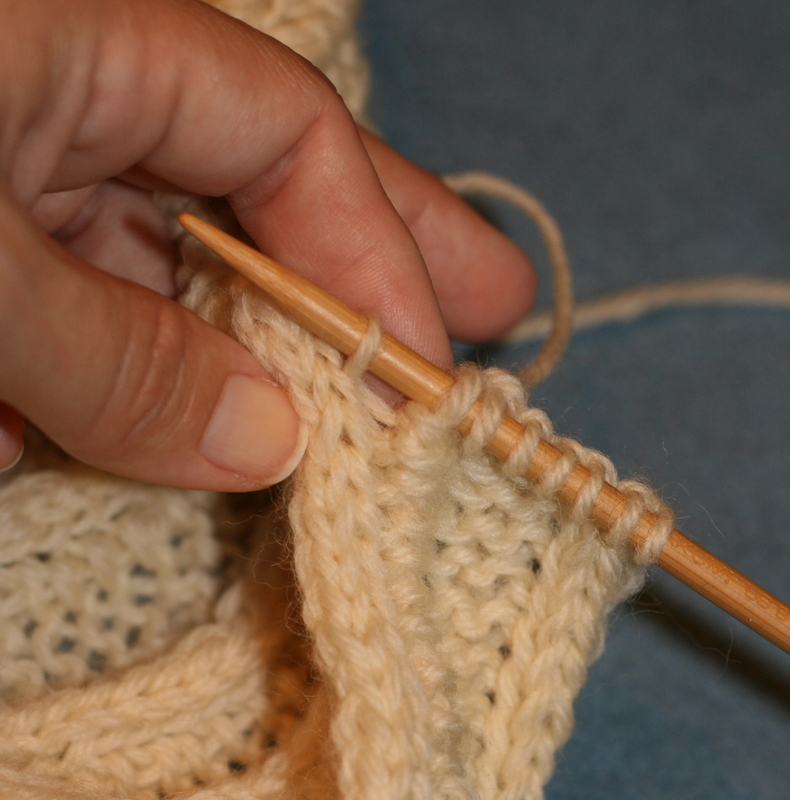 insert the tip of your left-handed needle into the front of the picked-up stitch and the slipped stitch. Now treat them as if you were making a ssk (slip,slip,knit). How do you make the hat spiral out and lay flat on your head? Ahh! That’s done with short rows. I won’t be giving that away here. That’s the heart of this pattern. 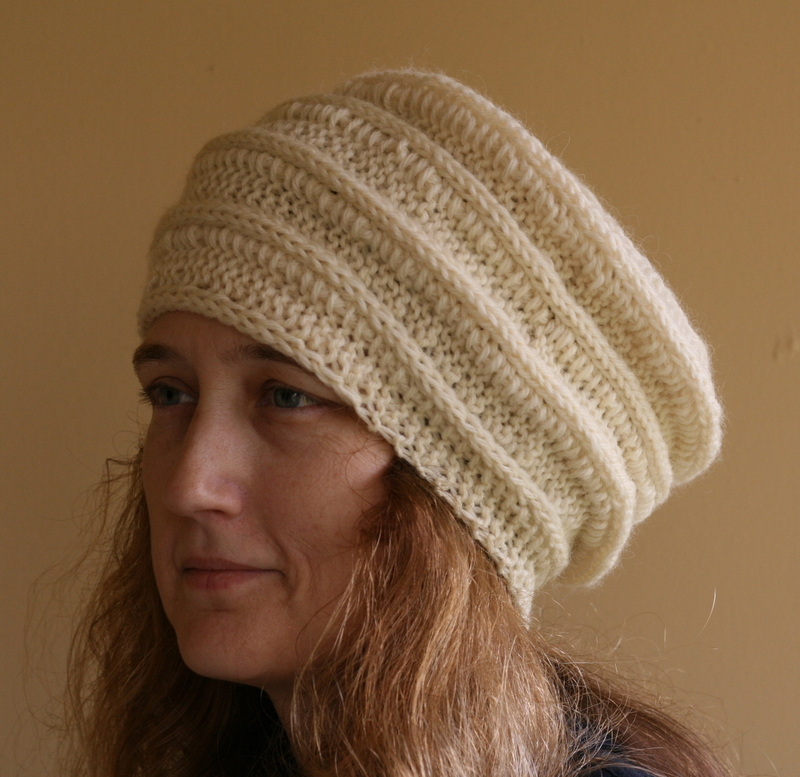 The placement of short rows, which changes as the hat grows wider, is how its shaped. The number of repeats for each row set is very fixed. Any more or any less and your spiral looses its shape and starts to ruffle. I’ve wanted this hat for quite some time and I’m glad I finally made it. Its lovely (or it will be after I’m done blocking!) and that’s what matters most. I also learned a few new things along the way about short row shaping and the geometry of spirals. Every time I make an Elizabeth Zimmermann I learn something new. She was brilliant. If you have this pattern laying around and want to give it a try, I say do it. Its only looks intimidating. After those first uncomfortable rows, the brilliance and sheer simplicity of this hat will strike you and your doubts will be a thing of the past. Just be sure to get the right gauge. I should know that better than anyone. 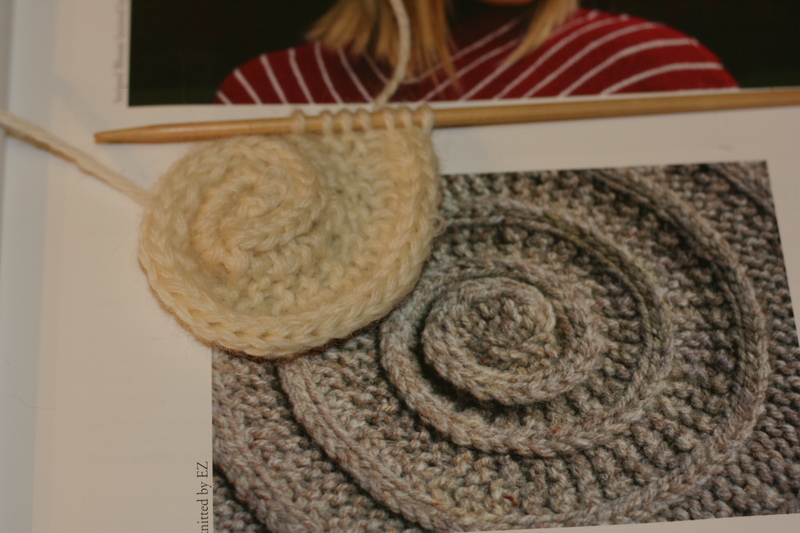 There is no “make an extra spiral” if its comes out too small, which is why my Version Number One is frogged and exists now only in old bog posts and digital pictures. Hope that gets you over any reservations you may have had and I hope you too have a seashell to wear on your head very soon. 14 Comments on "The Chambered Nautilus Tam – a pattern review with helpful tips!" OK, you have convinced me. I will Swifter the dust off the long-neglected book and give it a goodwill try………….. I like hats like this to be really extra-large (like a slouch). Is it possible? I’ve got a fairly large head size as it is. hmmm. the make the hat deeper would be easy. Once it starts marching down the sides of the head you can just add a spiral or two. The tough part would be to make the top, the flat part wider. The easiest would be to go up a size in yarn & needle. How would you feel about a chunky weight hat? That would be a possibility. The hat looks great! I’ve read a few of EZ’s “patterns” They are a bit… let’s say, brief. She reminds me of the White House cookbook from the 1800’s that I found on the net. Those cooks expected you to already know what you are doing. Lol. I guess that is a good comparison. Nobody cooks anymore including me. I can get all sorts of oooo’s and aaahh’s just be telling my friends that I make cornbread from scratch (which takes maybe 10 minutes.) But I can’t really cook and those older cookbooks might as well be in a foreign language. I know what you mean! I’m still trying to figure out the Stonington Shawl LOL. That’s the shawl that imitates a traditional Shetland rectangular shawl right? It’s an Elizabeth Zimmermann pattern? Yeah, they require to know your techniques. 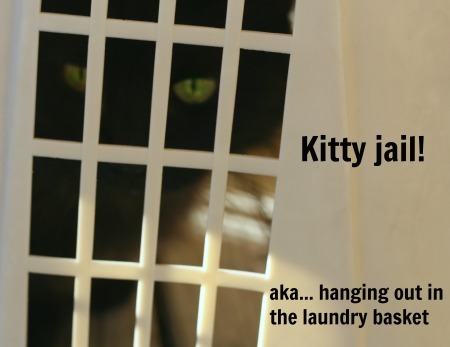 But on the upside – so many people have her books, so at least on ravelry you usually get an answer within a few minutes. Very true. 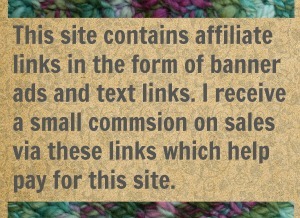 There is lots of support for her patterns on ravelry. I’ve even seen her daughter, Meg, step in on the forums and answer questions. Yes. 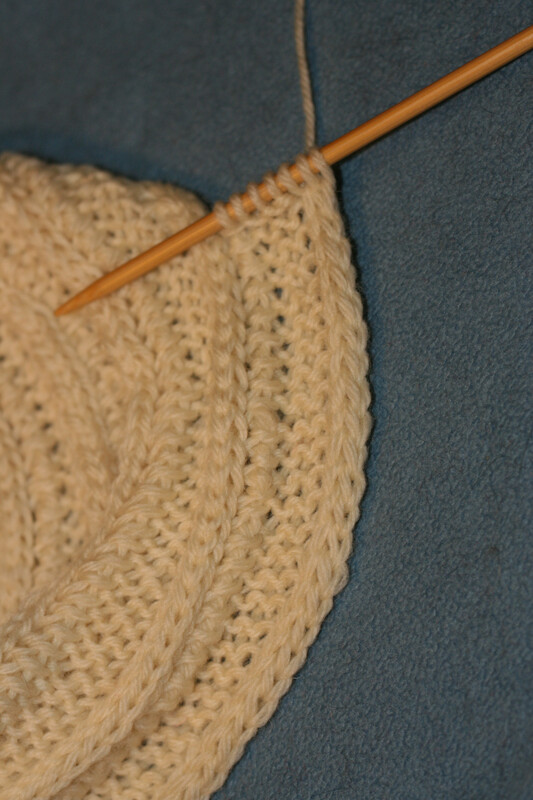 The center is a square knit from the tip of one corner. It can be any size you want. Then the sides are mitred. Many thanks for the clear pictures of how to join the strip. I sort of got it, but I’m a novice knitter so the slip-pick stitch-knit through the back loops was confusing. Thank goodness for generous bloggers! Ahh! I’m happy to hear that it helped. That little bit of instruction did have me scratching my head for a few minutes. Hope you hat turns out beautifully. I’d love a picture!